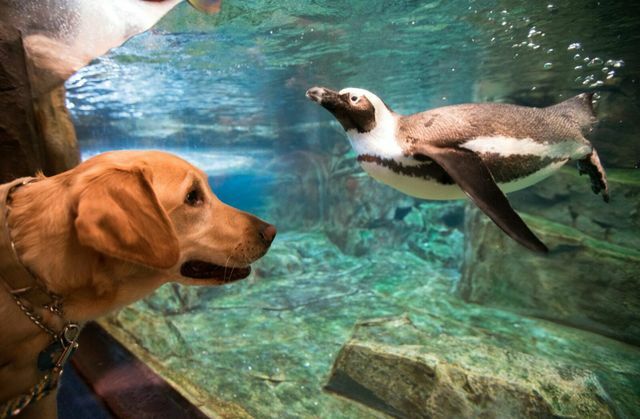 Many friendly faces come through the Aquarium every single day, but there’s nothing like running into a pup while browsing the Aquarium. 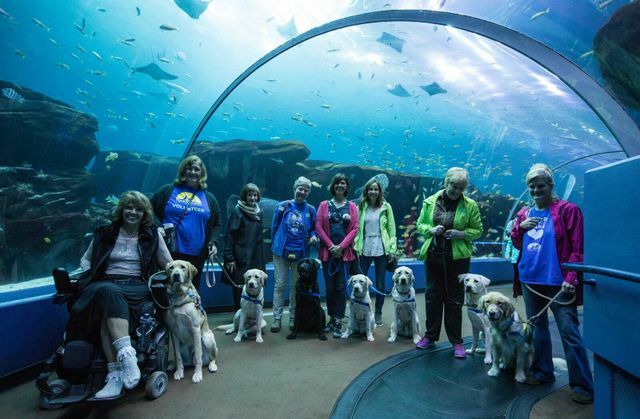 Earlier this week we welcomed seven service puppies in training from Canine Companions for Independence plus their handlers to walk through galleries, and become desensitized to crowds, lighting and sounds in public areas. 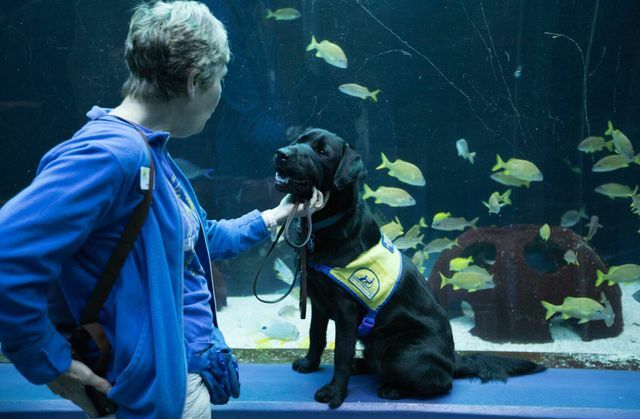 Canine Companions for Independence is a non-profit organization that works to provide people with disabilities a service dog free of charge. 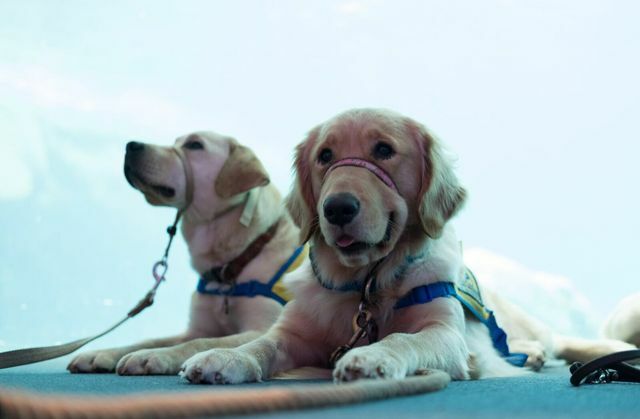 Volunteer puppy raisers provide basic obedience training, socialization and care for 14-18 months until the pup is placed in their forever home. 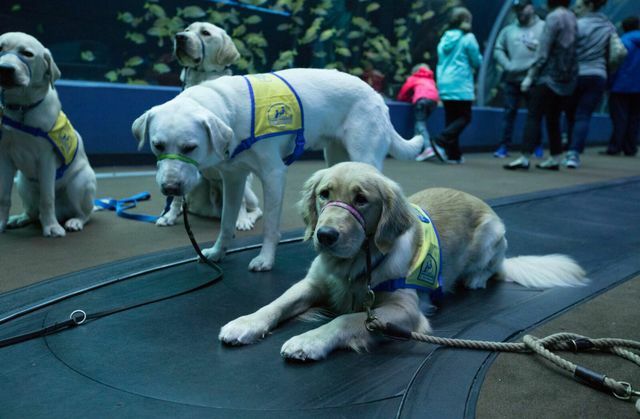 The volunteer puppy raisers take these service dogs in public to help them become familiar with different situations that they may encounter. 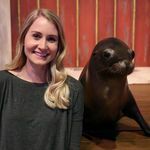 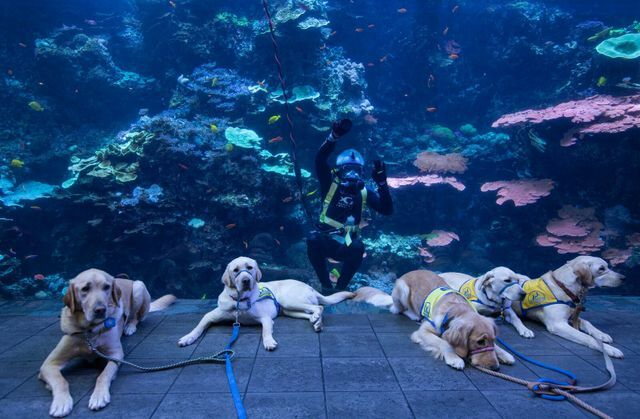 Take a look at the day these pups had at Georgia Aquarium!